For some reason, my school always finds it necessary to place all the major deadlines right after the Christmas break. I’ve always struggled with staying focused on school work when there were so many other fun things that you can do during the holiday season. But after 3 years in University, I finally have the feeling that I know how to stay productive but still have enough time to enjoy the holiday season! Here are the things that help me to stay more productive and hopefully they can help you too, whether you’re still in school or not! Even though you probably already knew this one, I wanted to remind you that one of the most important things is to just begin with whatever you have to do! I used to postpone all my school work until the very last moment which made me super stressed. So just begin on time! Even when you don’t feel ready yet. I didn’t feel ready until I basically had no other choice. Having something done earlier than planned is also super satisfying. If you have trouble with focusing on work or school like me, then make sure to create a good workspace. Try to work in a room or corner where you only do school or work related things. This will make it easier to concentrate and you’ll get more done than when you’re working on a couch, bed or some other place that is also used for relaxing. Try to find a place that has good light as well. Unfortunately, there isn’t as much daylight during the winter so you have to create more light yourself. Instead of filling your workspace with cosy Christmas lights that makes it really tempting to curl up in a soft blanket and watch a movie, try to have more natural and cold light instead because this will help you to stay focused. If you have found the right place to work, try to keep it organized and decorate it in a way that makes it more pleasant to work in. An organized workspace not only makes it easier to find something, it also helps you to stay more organized in your head too. Having all these other fun things that you can do during the holiday season can make it very hard to focus on non-holiday things, so you sometimes have to remind yourself why you’re doing this. One way of doing this is printing or writing down a quote that motivates you or your goals for a certain period. Sometimes a simple “you can do this” in a nice font is enough. You can also write it on a Christmas themed background so you can still have that Christmas spirit going on. Or maybe there is someone or something that inspires and motivates you. Print it out and frame it in a nice frame and place it somewhere where you can see it! Another way of staying motivated is to reward yourself with something when you have finished a task. This can also be something small like taking a bath, or ordering your favorite pizza for dinner! Try to figure out all the things that keep you from doing your work, and try to reduce them as much as possible. I get distracted really easily because when I have to get something done, everything else suddenly seems to be so much more interesting. So the first thing I do is I put my phone on night mode and I put it (far) away so it’s less tempting to look at my phone. I also get distracted by noises easily so I like to work with my headphones on so I get less distracted by the sounds around me. I work on my laptop a lot so the temptation of checking something on the Internet is very big. What works for me is I write down all the non-work related things that pop up in my head so I can do those things when I have a break instead of looking it up directly and ending up watching funny cat videos 30 minutes later. I believe that when you’ve got a good and realistic schedule, then half of the work is done. We all like to work in different ways, but here is what works for me: I put all my meetings, deadlines and fun-days in Google Calendar to have a good monthly overview of all the important things. I use Trello to make different boards for different projects. Trello is a great tool if you want to get a good overview of a project and the progress and it’s something we use in University a lot. Each week I go into more detail with what I have to do per day. You can find loads of useful printables on the Internet to write your daily tasks on. It took a while before I realized that you don’t have enough time in one day to fully do your whole to-do list. I always want to do more in a day than what is actually possible. But now I try to make my day schedule more realistic and I also make sure that there is enough time for relaxing and to actually breathe, because those things are very important too! I like to work in blocks, because when I have a time limit, I do my best to actually do that task in that amount of time. Most of the time these blocks are between 30 and 90 minutes and I only focus on one thing at a time. When I’m really busy, I wake up an hour earlier and I start with the most difficult/biggest task first. I used to feel really guilty when I was doing something non-important when I knew I actually had to do some work, but I don’t anymore. After every block I take a 15-30 minute break and I allow myself to do all these ‘non important’ things and this way I don’t feel guilty about it. This really helps me to just take my mind off my work for a bit, and to focus on my work afterwards. A good night’s sleep is also very important. I fall asleep really easily, but I always try to do something relaxing at least one hour before I go to bed, because when I don’t, then I’m still working in my head, and I wake up feeling like I’ve been busy with work all night. I use these breaks and the time before I go to bed to do all those holiday things that I want to do. I also make sure that there is at least one day a week that I’m not doing any work at all, so I can chill and enjoy the holiday season with my friends! Hopefully these things will help you too to be more productive, so you’ll have more time left to enjoy the holidays to the fullest! Because most importantly: don’t let your to-do list take over. Enjoy this season with your friends and family. Happy holidays everyone! Next ArticleWhat Should Success Look Like in Your 20s? 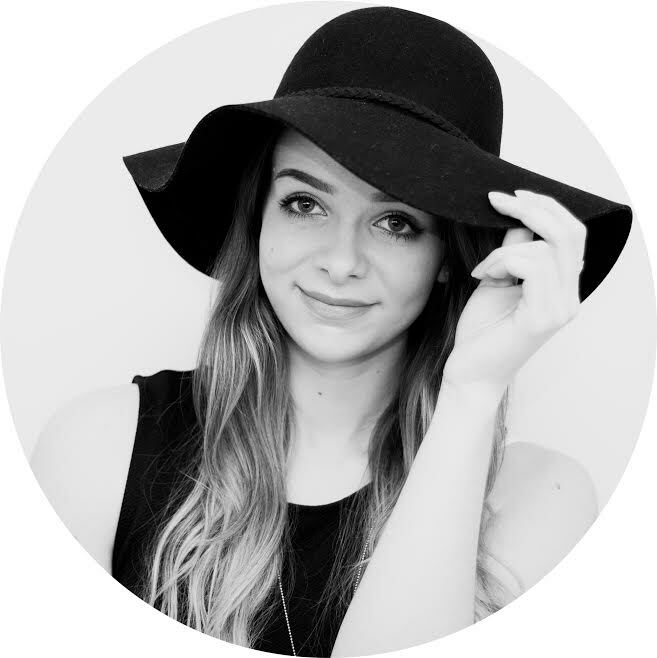 Valerie is from the Netherlands and she is currently in her last year of university studying Communication and Multimedia Design. She has a passion for photography and she loves to capture all the random things that she likes and things that inspire her and talk about it on her blog Valerie Randomness. Great tips! I really needed to read this today!